What do you get with Live 365? First, you get hosted email service. Each user you subscribe to the service receives an email account with a 25 GB mailbox that enables them to send messages that are as large as 25 MBs. If you already have Outlook 2007 or 2010 installed on your office computers, that is even better as you can easily incorporate your Office Live 365 email accounts into this client to enhance its features. 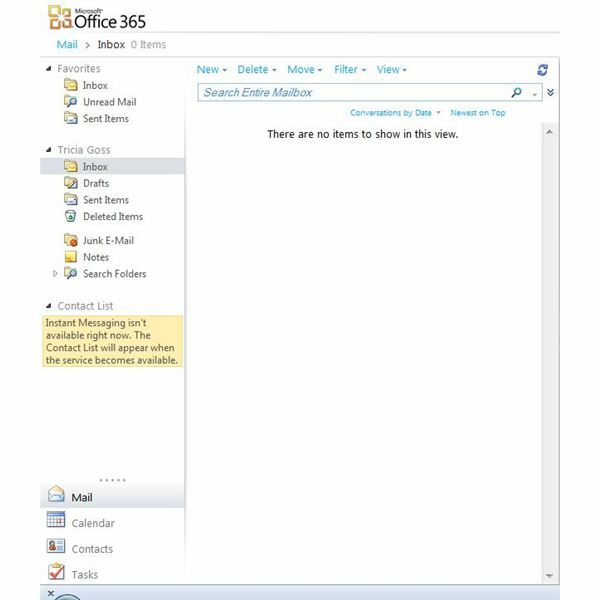 In addition, not only can you use the Live 365 email and calendar within Outlook, you can also access them — and even your contacts — from any web browser with an Internet connection. Microsoft Outlook Web Apps provides the features and functionality that you are accustomed to using on your desktop. You can share calendars there as well, making scheduling easy no matter where or when you need to make an appointment. 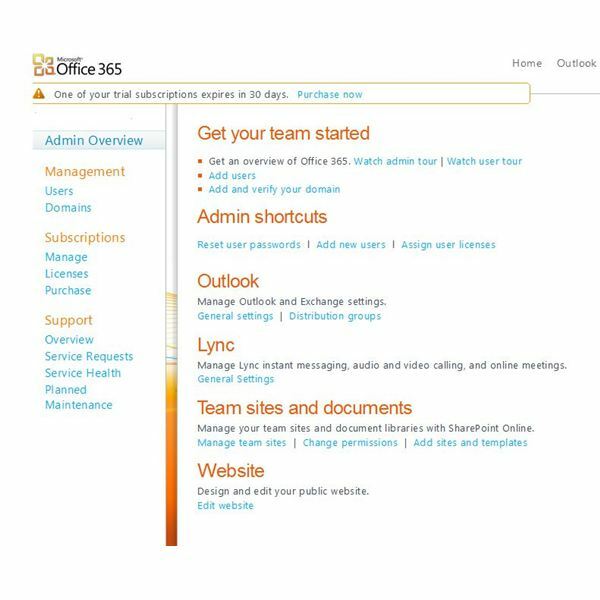 Using Office Live 365, your employees will have access to Microsoft Office Web Apps. With these cloud-based programs, you can use a scaled-down version of the 2010 editions of Word, Excel, OneNote and PowerPoint. Even if you have MS Office installed on your company computers, you are sure to find these applications beneficial. 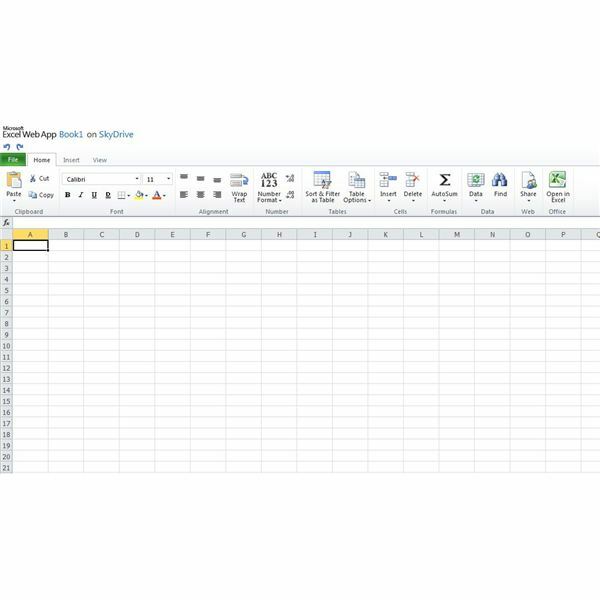 Have you ever needed to work on a spreadsheet only to find yourself locked out because someone else on your network was working on it? That will not happen with Office Web Apps, as several users can work on Excel worksheets as well as OneNote notebooks at the same time. In addition, you can see who else is editing the file and even view their changes in real time. Your formatting will remain the same as files travel from computer to web and back again, and not only can you access the tools and features from any Internet location, but you can use them with most current cell phones as well. It is important to note that the Web Apps are not full versions of the MS Office products so they are not as feature-rich. It is advisable to try them out for a while to determine whether they have the tools and features you most often require. In addition, Web Apps are available with any free Windows Live Skydrive account. ; if these applications are really all that you require, then there is no need for you to pay for a 365 subscription. If you are not yet marketing your small business with a website, or if your current web presence is simply not up to par, you will likely appreciate Microsoft Office 365's website templates and ease of use. You can use your existing registered domain name and build a custom, polished site quickly and without the help of a professional web designer. Alternatively, you can buy a domain via Office 365 Marketplace or any other legitimate domain registrar. One of the benefits of creating or incorporating your site with Office 365 is that you can use your email account, instant messaging and other 365 services with the website. For instance, you can create a catalog using Access and to allow users to view your current inventory, or share files with employees at any location. The website service does have its limitations. For instance, while there are many designs from which to choose, you are constrained to those offered in the gallery and may not design your own custom theme. Anybody can chat using an instant messaging program, but with Office 365 you can contact other users via IM, audio and video chats, or online meetings without the need of a secondary program or paid web service. You can easily view who is available, and go from an IM chat to a full-blown audio/video meeting in just a few clicks. You can hold web conferences with coworkers, clients or whomever you choose using the feature-rich Lync Online. This program enables you to share your desktop, which is ideal for slide shows and similar presentations. You can also use the virtual whiteboard for added direction and illustration. You can purchase an additional third-party app so that conference attendees can utilize a telephone number to join your online conference. In addition, you can use the service to reply to emails with instant messages or audio calls for quicker responses. Microsoft Forefront Online Protection for Exchange helps protects against viruses and filters out spam. Office 365's "globally-redundant, enterprise-grade reliability and disaster recovery" ensures that your other data is safe, as well. In addition, you get Microsoft's 99.9 percent uptime guarantee. In order to make use of Office 365, your users must have Windows XP SP3 or higher, Mac OS X 10.5 or 10.6, or Windows Server 2003 or 2008. For Office client compatibility, you need to run 2007 SP2 or higher. Compatible web browsers include IE7 or above, Firefox 3 or above, Safari 4 or above or Chrome 3 or above. Note that Communicator for Mac 2011 does not currently work with Office 365. Continue to the next page to learn about the cost of Office 365, how you can set it up and tips on using the services provided. If you decide that a Microsoft Office Live 365 small business account meets your needs, you can sign up for a free 30-day trial period first. Following the trial, should you determine that you want to maintain your account, the service will cost $6 per month for each user that you want to enroll. Note that any custom domain fees are not part of the free trial. 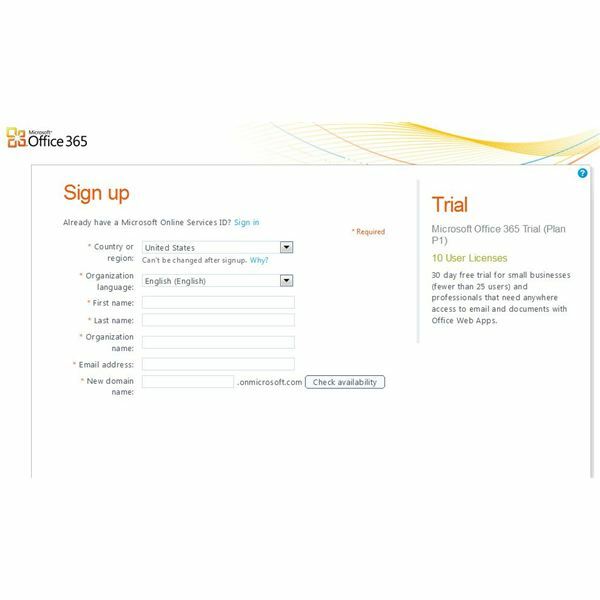 To start the trial, go to the MS Office 365 home page and click the Get the Trial button under Professionals and Small Businesses. Click on Get the Plan P Trial and then complete the information on the Sign Up page. Click Accept and Continue to sign in and begin using the service. Follow the links in the Start Here section of your home page to begin using the service. The first option in the Start Here section is Set up your computer to work with Microsoft Office 365. 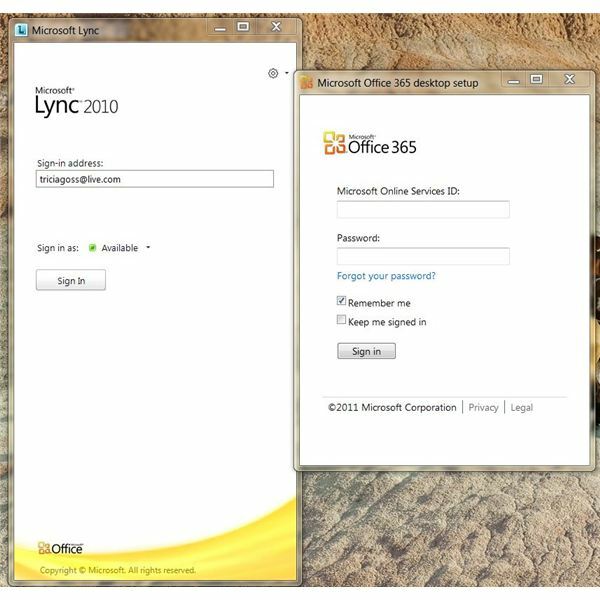 Click on this link to download Microsoft Lync 2010. Choose the version you want to install, depending on your system, and click Download. 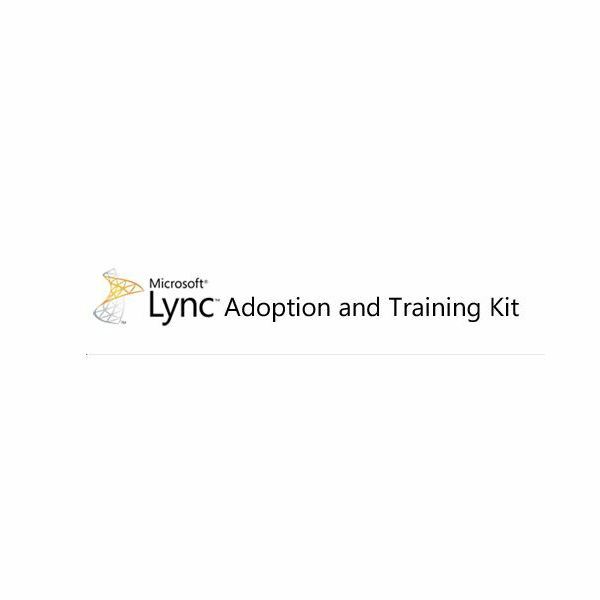 Follow the steps to download and install Lync and then return to the Downloads page. The next option is Set up and configure your Office desktop apps, which will check your PC to see if any updates or configuration changes are required. Click Set Up and install the application so that you can use Outlook 2007 or 2010 with your Office 365 account and save files to SharePoint Online from your installed Office programs. After this setup process, you can go back to your Office 365 home page and watch a user tour or view a quick start guide. Another option in the first section of your home page is Go to the Admin page to add users and change settings for your team. Click this link to get your team established with your Microsoft Office Live 365 account. On the Admin home page, you can view both an admin tour and a user tour. These will help you determine how you want to configure your user accounts. To add users, click on the Add Users link. Enter the first user's information, including name, display name and email address. Click on Additional Properties to add more information, such as the person's job title, department and contact information. Click Next to set permissions for the user. Click Next again to assign licenses for all or some of the services; you have 10 licenses available with your trial plan and 25 with your paid subscription. Click Next again to send the user an email with the account information and click Create to complete the process. Repeat for each user you wish to add. You can go back to the Admin page at any time to reset passwords, add new users or assign user licenses. The next section of the Admin page lets you manage Outlook and Exchange settings. Click the General Settings link to add, import and delete mailboxes, reset passwords and perform other general administrative email settings. You or anyone with administrator rights can search mailboxes, configure compliance features and more. In addition, you can manage mail domains and configure ActiveSync settings. Click the Distribution Groups link to add contacts to your global address list, manage those groups and migrate mailbox content from your server. There is a link for Lync settings as well. On this page, you can enable or disable external communications, change users' IM settings, manage dial-in conferencing or access Lync training resources. In the Team Site section, you can manage your team site, powered by SharePoint. Add calendars and documents, post announcements or pictures, include contacts, user tasks or a list showing which users are currently online and what their statuses are using intuitive, simple toolbar buttons and navigation. On the Shared Documents page, you can upload files to make them available to our site's users no matter where they access the site, or create new shared documents using Office Web Apps. As administrator, you can set permissions for users, change the appearance of the page, configure regional, language and RSS settings and much more. 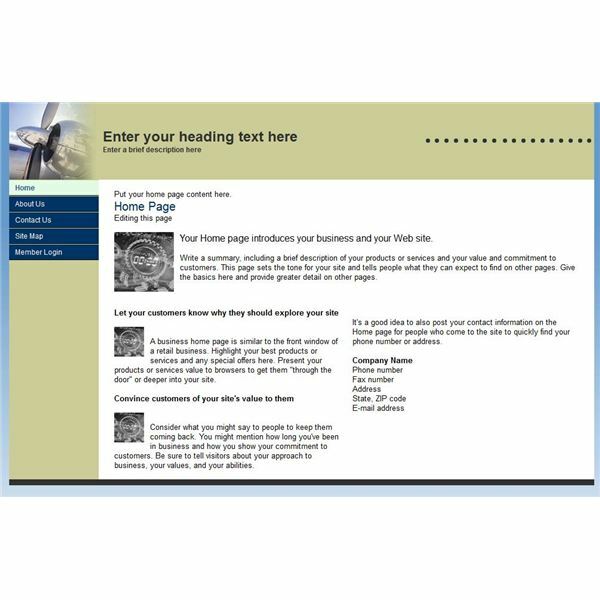 Another advantageous feature is the option to add sites and templates to your team website. In this comprehensive gallery, you will find everything from form libraries to social meeting workspaces to templates for surveys and issue tracking. Of course, you will also benefit from the user-friendly website builder that will help you create your public web presence. Follow the Edit Website link at the bottom of the Admin page and choose the page that you want to edit. Choose a theme that is suitable for your business, enter text into the existing text boxes and customize colors, images and other components to create a one-of-a-kind site without breaking a sweat. Throughout your trial subscription, use the services on Office 365 as frequently as possible to find out whether they offer the tools you need. Make use of the many tutorials, videos and forums available, as well. Links are posted on relevant pages of your account. These resources will help you obtain the most value from the service and determine whether you wish to continue on as a paid subscriber.